Holly smokes this is what New Zealand is all about. Breathtaking Scenic landscapes. 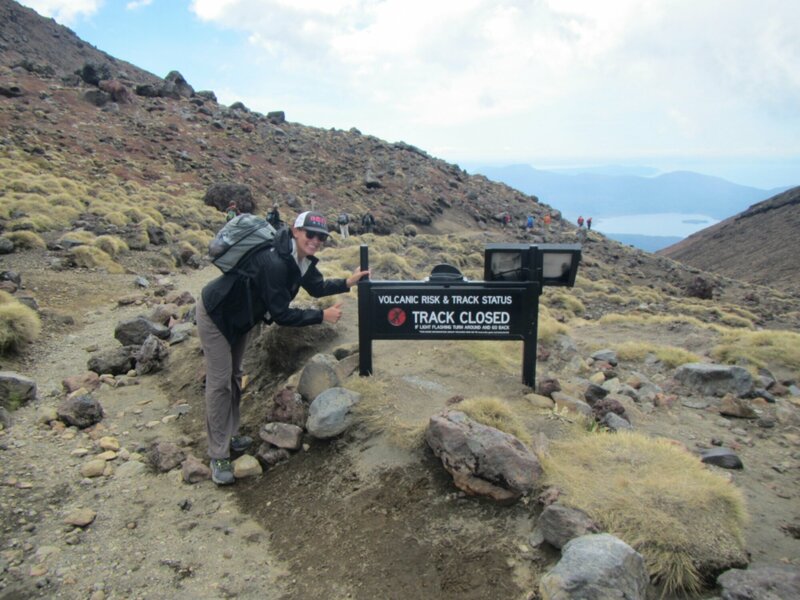 The Tongariro Crossing is one of NZ’s great walks. 19.4km and 7 hours of pure enjoyment. I started from the Mangatepopo Carpark and ended at the Ketetahi Carpark, which minimizes the amount of climbing. It was actually pretty challenging at times. My body hurt during, but thank god it didn’t hurt after. 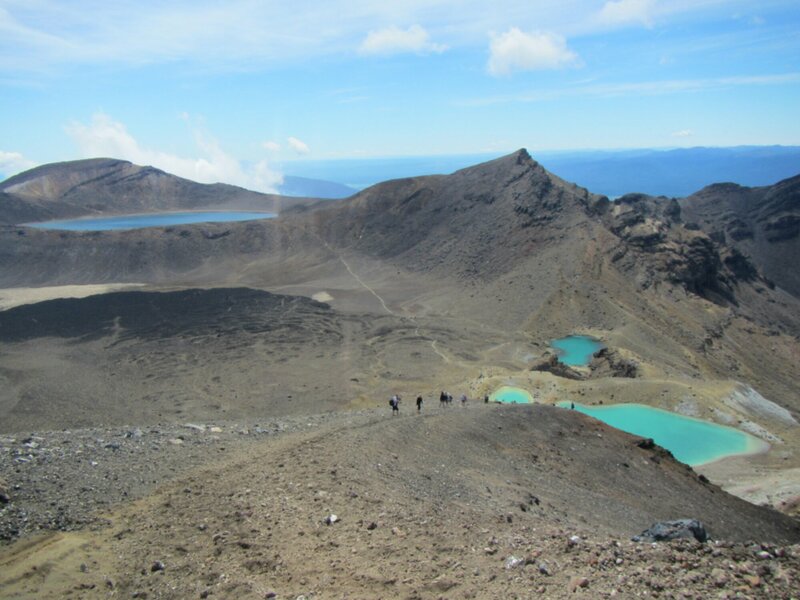 After getting up the massive red crater (1886 m- highest point of the crossing) you get a view of the 3 Emerald Lakes and the Blue Lake. 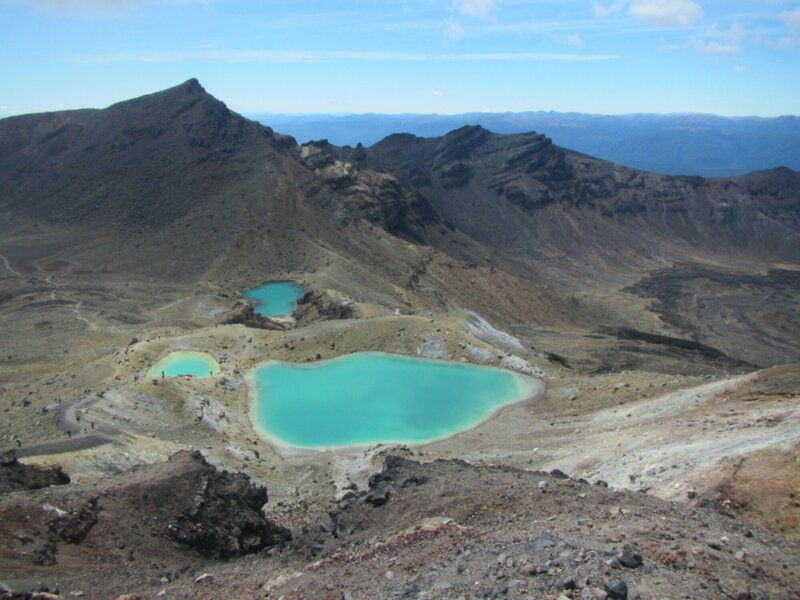 When you move away from the red crater you look back and see an incredible view of the red crater, Mt. 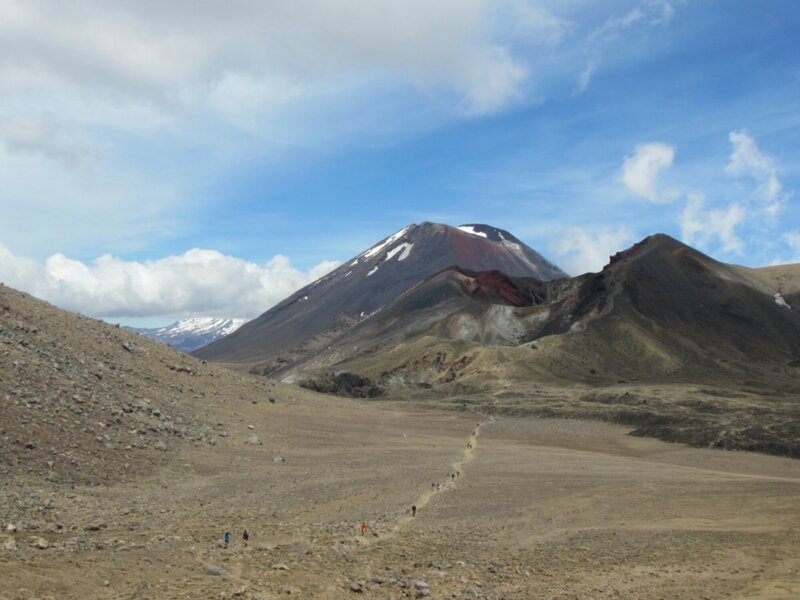 Ngauruhoe, and the Mt. 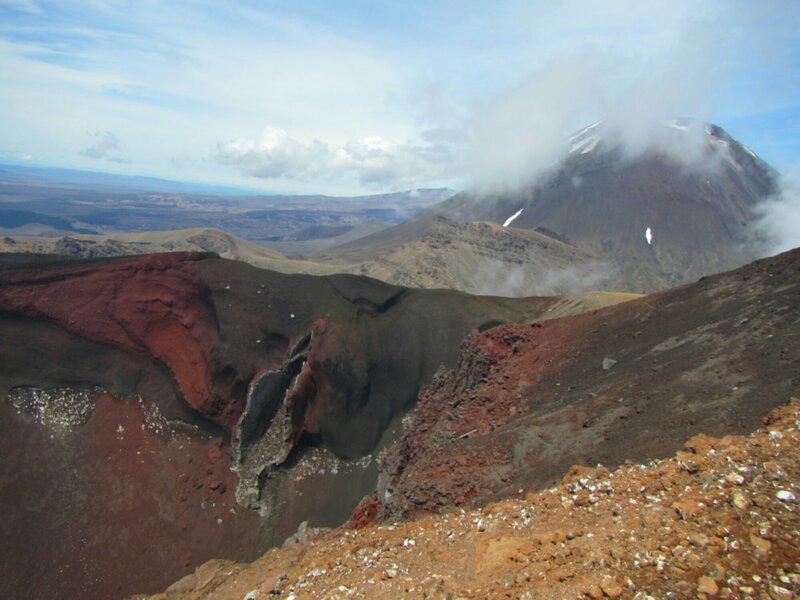 Tongariro Summit. It was really tough to get to this point and I was rewarded with my favorite view of the walk. This was all used in the lord of the rings. I paid $45 for round trip shuttle to and from the crossing. If you want to do it cheaper plan your food ahead and stay at the Crossing backpackers where you pay $69 NZ dollars for 2 nights accommodation plus shuttle ride. Way cheaper. I stayed at the Station Lodge which was super clean and had a great view of the Tongairio Summit. It is shoulder season right now so it was dead. I had the dorm to myself 😉 the Crossing was another story. It was crowded, I can’t imagine doing the hike in high season. I would suggest doing the northern circuit instead or try a weekday of the shoulder season. You still get to see all the good stuff and it is shorter and less traveled. An even better suggestion would be to drive a bike to one end and drive to the other and do the hike before anyone who takes a shuttle starts and ride your bike back to your car.